Meet Melvin, the lovable tooth. 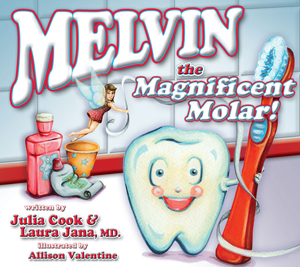 By promoting brushing, flossing, and regular visits to the dentist, Melvin shows readers young and old how to make sure they will have happy teeth and healthy smiles that will last them a lifetime! [W]hat a fantastic story for children and parents!